We, at OurFamilyWorld love movies, especially cute movies such as Zootopia. That’s why we share the news about them, some quotes from the movies, etc. We also love making cupcakes or drinks inspired by these movies! They are so cute and fun to make (and eat obviously). For the release of the Zootopia movie, I made these easy cupcakes. For this Zootopia inspired cupcake recipe, I used a muffin base and topped it with cream cheese. You can top it with buttercream too, if you prefer. My kids love cream cheese a lot that’s why I chose it. Kids can help you in the baking and decorating process. I know my daughter loves that and is always eager to bake (and taste the batter). Even when her friends come over for a playdate, they ask for a baking session. I love watching them doing it because they pretend they are contestants at Master Chef, and they compete. It is too funny to watch. Anyways, I made these cupcakes that I topped with some figurines inspired from Zootopia movie. I used a fox figurine. 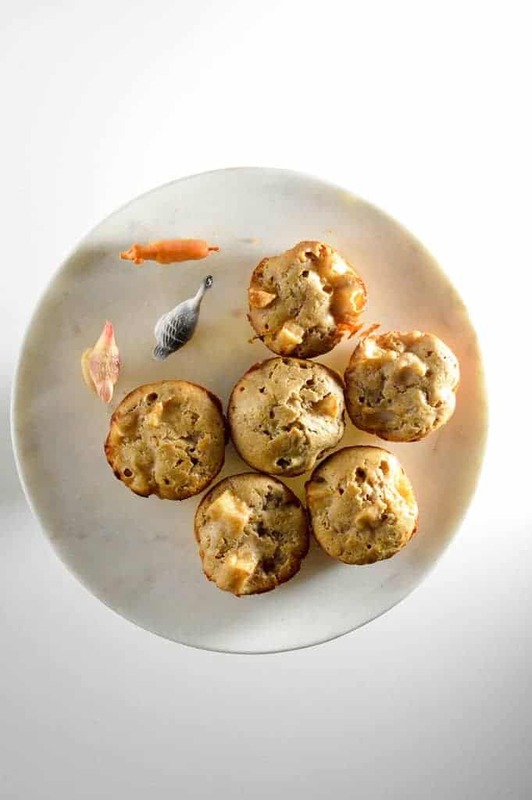 Preheat oven to 350 °F and line the muffin cavities with paper liners . In a bowl, combine the dry ingredients. In a separate bowl, cream the butter and sugar until smooth. Add the eggs (one by one) and vanilla. Mix the dry ingredients with the wet ones, using a wooden spoon. Alternate with milk. Bake for 20 to 25 minutes or until a toothpick comes out clean and dry. Let it cool and decorate as you wish. The great thing about this Zootopia inspired cupcake recipe? It’s actually more like a muffin, which means it’s not quite as sugary for your kids. If you go with the cream cheese icing, you’ll save even more sugar. Want to sweeten the cream cheese a bit? Just whip it with a teaspoon of honey. Ready for some more delicious treats inspired by our favorite movies? 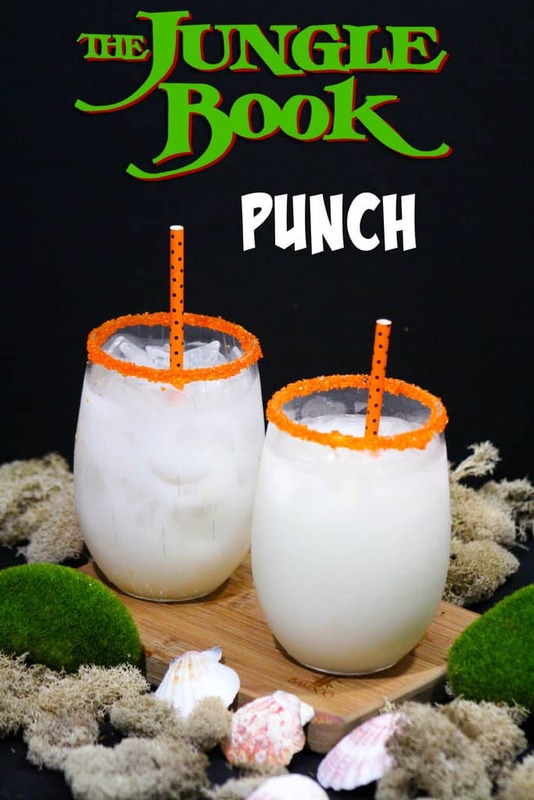 Check out our Jungle Book inspired punch! If your family loves movies about animals, try our Bear cupcakes. Do you ever make treats for your kids inspired by movies? 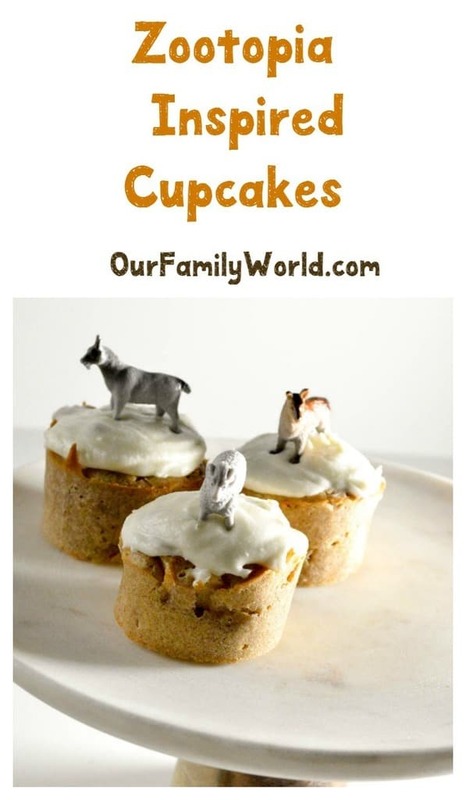 What animals would your kids use with our Zootopia inspired cupcake recipe? Tell us below! Awwww, these are cute! I haven’t gotten a chance to see the movie but I would like to! Thanks for linking up with Delicious Dishes Recipe Party! Your Zootopia cupcakes are so cute and yummy! Thanks for sharing a delicious and very creative post! Zootopia is an awesome movie that has been making new for long time & I am just loving that cute cupcakes right away. My kids are going to love it so much. This is a lot of fun. My kids would love both of these! Thanks for sharing. It actually looks really yummy. I like the idea for choosing zootopia. Me and kids love zootopia so much! Super cute! They look yummy! My girls saw Zootopia in the theaters, but I haven’t seen it yet! It looks awesome! I love apple cake. I bet these taste amazing! My kids would love decorating them for sure. My girls always loved to cook special treats when they were little. It seems to make them taste better if they are inspired by their new favorite movie or cartoon. I have never seen the movie but I love these cupcakes. How cute are they! I bet many kids would love to eat these cupcakes. I finally got to take my daughter to see this and she loved it so I know she would love these cupcakes! That looks so delicious and good. My kids will love that for sure. Thanks! These are cute! My boy would absolutely love these! Thank you for sharing!! Aww, these are the best. I still need to see Zootopia too. It looked really cute! That’s so adorable, I love the little animals on top. Zootopia is an awesome movie and this is the perfect snack for the family when you watch it, hopefully, when it finally releases a blu-ray edition. Thanks for the recipe! Love it. These cupcakes are adorable. I really like the idea of using cinnamon and apples as opposed to a plain chocolate or vanilla cupcake. Great idea. I have yet to see this movie but maybe when it comes out on blue-ray I’ll make these and have a Zootopia themed night! Great fun! We love apple cake here so will have to try these. The animals look so cute on top. Those cupcakes are too cute. My kids would LOVE these.